I’m usually a hard sell on those miracle gadgets they sell on TV. You know, the Popiel Pocket Fisherman or the Ronco Rhinestone and Stud Setter (create this beautiful denim jacket in just minutes! ), the Dump Cake Cookbook (get the Dump Dinner Cookbook FREE,). You know the pitch: but wait! If you call in the next ten minutes, we’ll double your order! Just pay separate shipping!! But when I saw this little gem, I had to take notice. It’s called Veggetti and with a few simple twists of the wrist, you can have beautiful julienned vegetables that are delicious in soups, salads, stir fries, and probably more! Hey now! Sure. 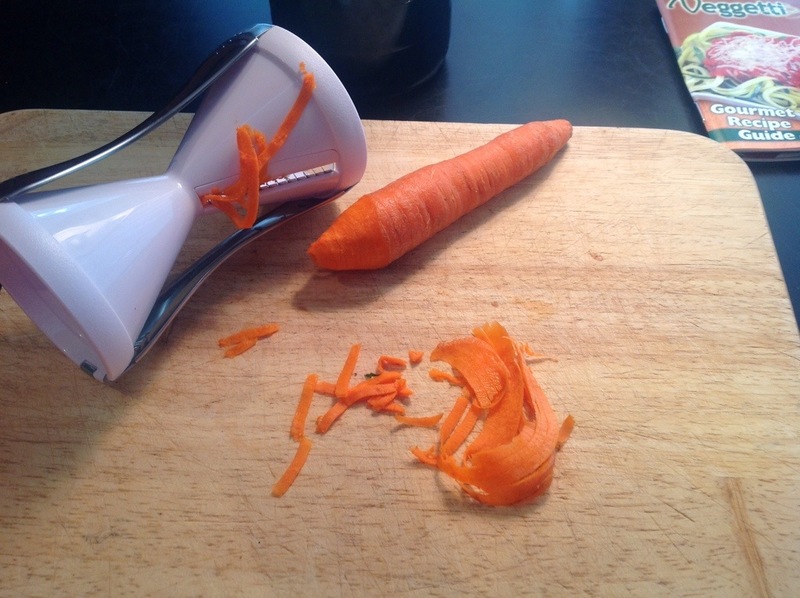 But compare the size of the Veggetti to the size of your Cuisinart. Which is easier to clean up? Me, too, and I always have at least one wound from grating too close to the fingers. Seriously, I have used this to make pasta from zucchini….just fabulous with a melange of other fresh veggies and a swirl of olive oil. Way to use that bumper crop that’s probably happening right now. 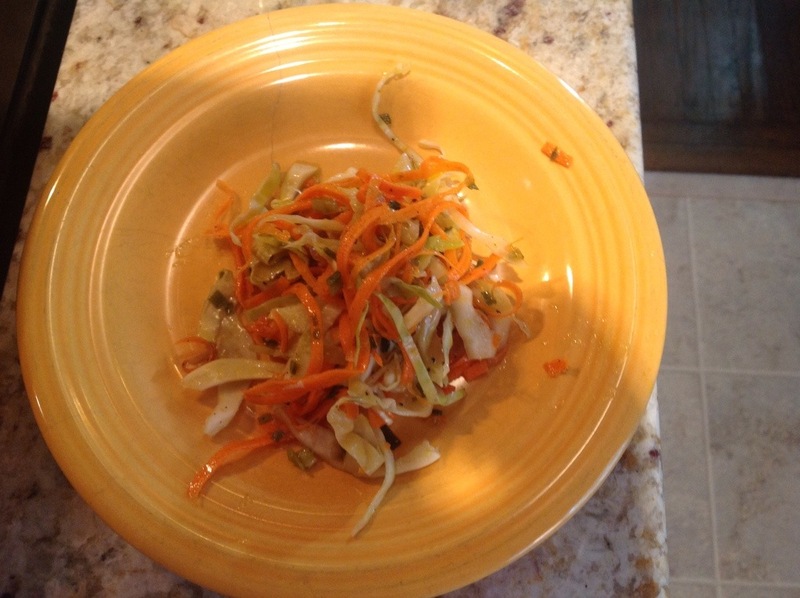 Cucumber salad is a snap, too, and check out this carrot slaw. I didn’t buy it on TV. A local department store has a niche called As Seen On TV and you can get the same thing without the extra schmaltz you probably don’t want anyway. Plus, if the miracle gadget doesn’t work, you just take it back to the store. Believe me, I am not Martha Stewart. I just want to make something good for me to eat that’s also easy. Summer veggies are in……..I’m taking advantage! 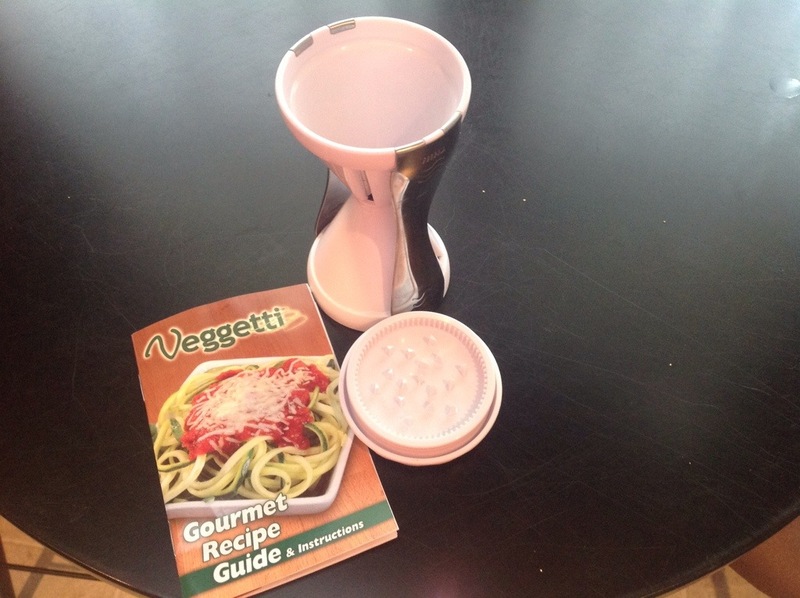 Veggetti comes with a small recipe booklet to stir your creative juices. Who knows where it could lead? And Veggetti sounds better than Dump Dinner. This evening, carrot slaw and tuna salad. Wow, I feel so healthy. Sign me up! Are we talking Boscov’s?